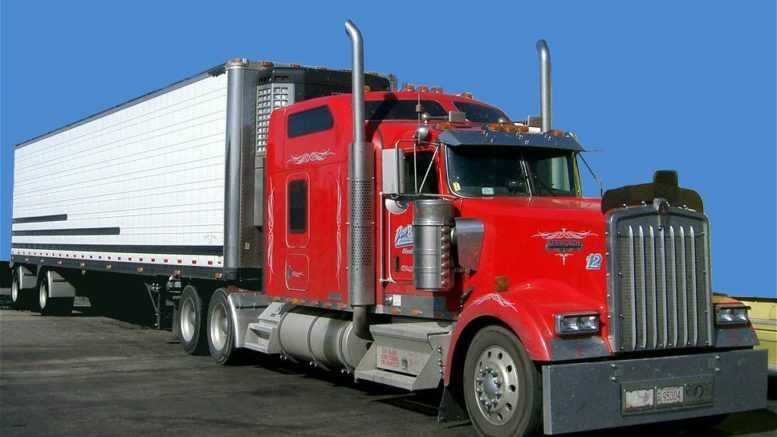 Over-the-road trucking means spending a lot of time in a big rig. Sometimes, those breaks can get boring if truckers don’t have anything to keep them entertained. This can lead to bad habits, such as eating greasy truck stop food. This, coupled with long hours hanging out in your cab, aren’t the best ways to enjoy your downtime. There are other ways for trucks to enjoy their breaks, and Solid Signal shares them here. We hope these activities will give your mind some much-needed stimulation and keep you from engaging in other activities you might regret later. Reading is as popular now as it was in the days before the internet. A good book doesn’t take up much space in your cab, and it’s a one-time purchase. Best of all, you can get any type of book you like. Whether it’s westerns, self-help, or action-adventure, there are plenty of great stories out there just waiting to be enjoyed. If flipping a page isn’t your thing, get an audio book. This might be your best option because you can listen to it on breaks and while you drive. A deck of cards can be a great way to keep truckers entertained. No, we’re not suggesting you play solitaire… unless that’s your thing. It’s more fun and entertaining to break out the cards when you’re at a busy truck stop. You might enjoy a variety of card games with your fellow truckers. While poker or Texas hold ’em might be among them, we don’t recommend gambling. If you’re looking for a fun and challenging game to play with three other people, euchre fits the bill. It’s played in teams of two, and much of your success or failure will depend upon how well you work with your partner. (There’s no “table talk” allowed.) This game tends to be more popular in Michigan than other states, but it’s catching on across the country. If you’re a long haul trucker who’d like to give this game a try, here are the rules for euchre from the Bicycle playing card company. As a trucker, you might not be able to hit the gym on your breaks, but you can still work out. You can walk, jog, or even run around the truck stop. You can also bring along a jump rope and even some small dumbbells that can easily fit inside your cab without taking up too much space. Frankly, when it comes to staying in shape, nothing beats body weight exercises, such as push-ups, lunges, squats, step-ups, and planks. When you challenge yourself to stay in shape while on the road, you’ll find exercising to be very entertaining. Are you new to body weight exercises? No problem. Try starting out with 10-15 minute bursts. For example, you could try doing 20 push-ups, 20 step-ups, 20 crunches and 20 jumping jacks within that time. In the beginning, it might take 15 minutes or more to complete the set. If you keep it up, you’ll do the set in 10 minutes. When that happens, add more reps or even a new exercise to your routine. The key is to keep challenging yourself. Did you know you can mount a specialized TV antenna to your big rig? These devices deliver free local channels to the TV you have mounted in your cab. A mobile TV antenna is great for picking up network TV broadcast in the places you travel. Just keep in mind that if you’re 200 miles from home, you won’t get your local TV channels. You’ll get the channels that are in that TV market, instead. If you’re favorite shows are on the major networks, you should be able to find the affiliates wherever you go. Something to know: Your TV antenna won’t work while you’re driving. Your big rig will be moving too fast for the signal to catch up to the antenna and transmit to your TV. You shouldn’t try to watch TV while you’re driving, anyway! Don’t worry. You can catch your favorite network shows when you stop to take a break. That’s really the best time to enjoy some TV. Want your local TV stations anywhere you go without mounting an antenna to your cab? It can be done… with an AirTV Wi-Fi streaming OTA integrated TV antenna converter box. If you set up a TV antenna at your home and connect it to this AirTV device, you can sling all your local TV channels to your phone or other wireless device, such as a tablet, in your big rig. This means no antennas or additional wiring in your truck. No matter where your travels take you, you’ll get to watch your local stations from your hometown. Thanks to mobile satellite domes, truckers can enjoy satellite TV in their big rigs. What you need is a portable satellite dome atop your truck’s roof, and a TV and satellite equipment in your cab. Just like the antenna, your satellite dome won’t deliver your favorite programs while you’re driving. Satellite TV is to be safely enjoyed once you pull in to each stop. There are many reasons why truckers should get DIRECTV in their big rigs. The biggest one is that DIRECTV’s satellites beam programming all across the U.S. Whether you’re driving through the western, mid-western, southern, or eastern U.S., you should be able to receive DIRECTV. With its huge variety of news, sports, and entertainment programming, you’ll get the shows you love. DIRECTV in your rig is one of the best ways for truckers to stay entertained on break. If you want DIRECTV without the dome and other equipment, you can always try DIRECTV NOW. As long as you have any type of internet connection, this programming streams directly to your phone or tablet. Most of DIRECTV’s news, sports, and entertainment satellite TV programming is also available on DIRECTV NOW. It’s a great alternative to a larger satellite TV installation, which is great for truckers who aren’t owner-operators. Are you more comfortable with DISH? If so, there’s always Sling TV. This streaming service provider offers much of the same great programming you’re familiar with from your home DISH installation. If you have any type of internet connection in your cab or free Wi-Fi at the truck stop, you can enjoy Sling TV. This is another great option to help truckers like you stay entertained while you’re on your breaks. All this talk about over-the-road trucking begs the question: How good is your wireless phone plan? This is an important thing to know before you try to call home and check on your family. (There the reason you do this job, after all.) If you don’t have the reliable wireless and data plan, you might not be able to do this. AT&T has a variety of affordable plans that offer the kind of coast-to-coast coverage every OTR trucker needs. Since cellphones are so important to truckers, cellphone signal boosters should be important, too. When you install a cellular signal booster to your rig, you improve your cell phone’s connectivity. This improves your ability to send and receive calls and texts, and download and stream data. So, whether you’re calling, texting, or watching a YouTube video on your break, a cell phone booster makes sure you can do it. Cellular signal boosters are a great investment for your big rig or fleet! Here’s another reason to get an AT&T wireless plan: AT&T’s Watch TV. This value-driven streaming service plays programming right on your phone or other device. You get a total of 39 national channels and in most cases, this service is included free with your wireless plan. Watch TV is current support on iOS 10 or higher and Android 5.0 or higher. For truckers just looking to enjoy a few basic national channels, you can’t beat AT&T Watch TV. Books and decks of cards are two things truckers can get anywhere. When it comes to the other forms of entertainment, truck drivers can trust us. We are the best online source for TV antennas and cellphone signal boosters. Our knowledge and expertise in these products is even more important to you. When truck drivers need a TV antenna or cell booster recommendation, they call us at 877.312.4547. If you need help, don’t hesitate to call on our product experts. If you’re interested in DIRECTV and/or an AT&T wireless phone plan, you need to call Signal Connect. This division of Solid Signal is an AT&T Preferred Dealer. Signal Connect’s customer support team can answer your questions and get you everything you need to enjoy DIRECTV, DIRECTV NOW, Sling TV, or AT&T Watch TV. They can also match you with an AT&T wireless plan and upgrade your device with the latest smartphones. Signal Connect has already helped many over-the-road truckers, and they can help you, too. To find out how, give them a call at 866-726-4182.